There is an increasing rate of parents using tablets such as the Google Nexus and iPad to help educate their children with the developments in modern technology. Toddlers do well to learn with repetition, interactive and color recognition, which the tablets reinforce with their interactive designs of these aspects of learning. The tablets are also patient and immediately responsive, plus their generous screens are simple for toddlers to use as they are developing their fine motor skills. When you look for toddler apps, however, there are so many to choose from which will make you dizzy. Below you will find a list of the best toddler apps that are the most recommended by various websites, and a majority of them can be used on both android and apple devices. A colorful app for toddlers, these little Aliens come and land on Earth ready for some fun with a game of Hide & Seek. The point of the game is for your children to find these hidden creatures in seek and find settings. 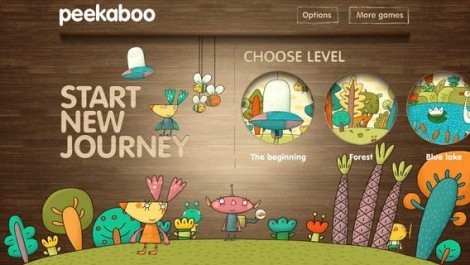 It works with simple finger touch navigation, making it a child-friendly app. It is a classy and calm app, helping to further your child’s memory skills, mental agility, and color and shape recognition. It does not have any ads or in-app purchases. It is developed by Ravenburger digital. In this new game from Dr. Panda, kids meet this adorable little turtle named Toto, who just hatched and lives in a fun treehouse. Since he is just a baby, he desperately needs someone to play with him and care for him. Kids will love to help him out. If you stop and wait long enough, Toto will try and catch your attention with some sort of nonsense. This app is simply a game where your kids can play as much as they want and have fun. There are no specific missions or goals to accomplish, other than being responsible and taking good care of this little turtle. There are no ads or in-app purchases, either. This is a beautiful seek and find app for kids where they can explore medieval landscapes and find different famous fairytale characters, princesses and knights. This app is a wonderfully designed picture book app with gorgeous scenery. 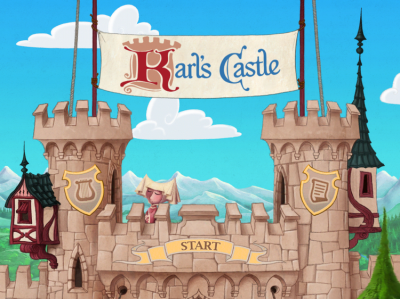 All the characters in this app are interactive and the scenery can be scrolled and zoomed. Kids will love discovering and recognizing all their favorite fairytale characters and the three new minigames which have been added to this app. Plus, parents will be pleased to know there are no in-app purchases or ads. This is a collection of six discovery activities which are toddler-friendly. Each one is high interest for your little ones and gives them the control. Familiar settings like the zoo and home wild raw them in. They can pick fruits and vegetables, clean floors, and feed animals. Plus they can be magicians and match up puzzles to create animals, and other activities. Each one is brief, which is just right for younger attention spans. Your children will learn through role playing, developing their emotional skills, growing vocabulary and trying out responsibility, all while having fun. It is free from in-app ads and purchases. An enchanting way for preschool-aged children to listen and learn their ABCs. They will learn alphabet letter names, practice letter shapes, learn letter recognition and find letters in context. It won’t teach your kids the phonetic sounds, but this is found in a separate app, Kids ABC Phonics. There are several child friendly sections to this app, including naming letters, forming letters, identifying letters in context and recognizing letters. Each section is made so that kids enjoy success with positive reinforcement from a likable lady teacher. There are no in-app ads or purchases. With this app, your child can practice reading anytime, anywhere – while you’re at the grocery store, driving, or having a quick coffee. 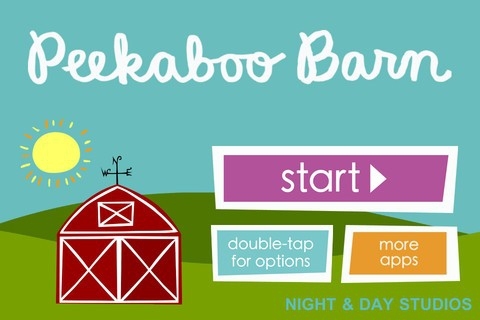 You can even use this app to give your child a new bedtime story each day or practice reading before or after school. Spend quality time with your child while teaching them reading skills that are necessary. 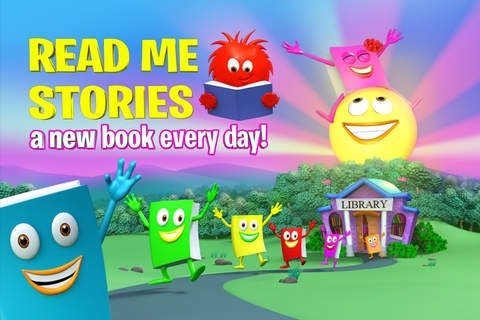 There are new great kids’ books in this app every day, so you spend less time searching. The illustrations are beautiful and the stories are captivating, plus the voices are funny. The stories highlight the text while the story is read and touching the characters expands the storyline. There are no in-app purchases or ads. You can work with your child to learn the names of the animals and listen to the sounds they make. Younger children will love opening up the barn doors to find a different animation, as they are learning about cause and effect and become familiar with animal names and sounds. Older children will love guessing the animals by sound, then seeing the names of the animals, helping them to develop early literacy skills. The app was created by educators and artists, so you know it is quality made. You also won’t have to worry about any in-app ads or purchases with this app. This is an educational and entertaining app which teaches your little one about shapes. 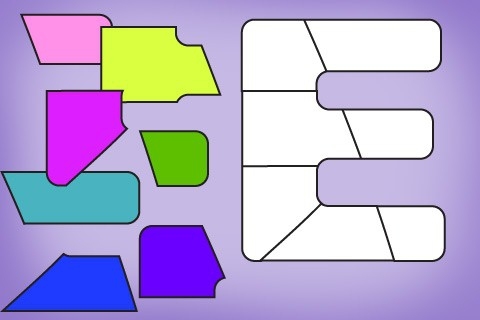 They can easily move the shapes to snap them into place on top of a silhouette puzzle. Each puzzle has five to ten pieces, and when the positioning is completed, the real image is realized, plus a professional voice of the word spoken by a licensed speech therapist can be heard. This app encourages cognitive thinking and fine motor skills, plus it exposes young minds to new music instruments, produce, animals, objects and the alphabet in fun and engaging formats with all kinds of sound effects. Don’t worry – there are no in-app purchases or ads. Before you start downloading apps, make sure your devices such as iPad have been childproofed. The most important thing to do is to turn off any in-app purchases, which keeps your toddler from buying something accidentally within the app. There are actually special sales in the apple app store that are called limited time free, and this means you can download the apps for free. If you don’t want to pay for an app, you can wait for a few weeks.